Today I am going to share a simple Sundal recipe- Pattani Sundal. 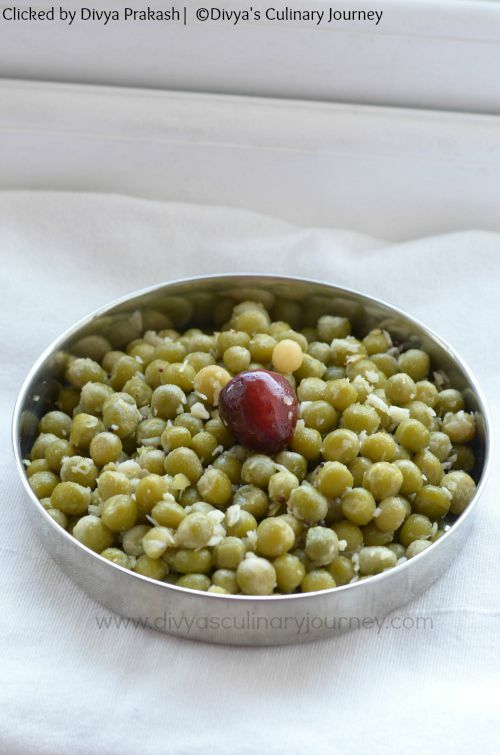 (Dried Peas Sundal). With festivals around the corner, navarathri is also coming up, I wanted to post few sundal recipes here in the blog. So starting with a simple sundal recipe. You can use both Pachai Pattani (green peas) or yellow peas. 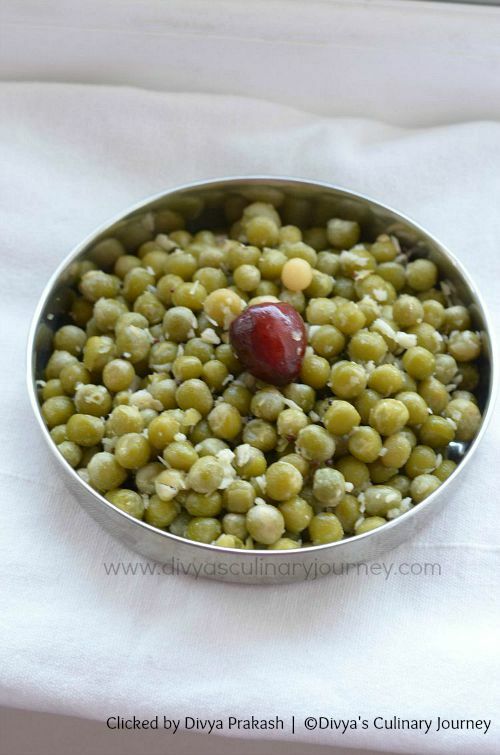 This sundal can be made to offer God as neivedhyam or can be had just as a snack. This is a healthy snack and vegan too. 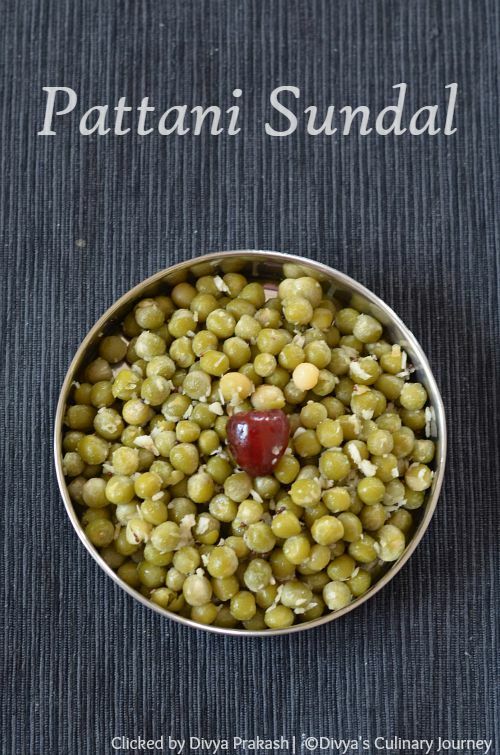 How to make sundal with Pattani/Dried Peas? Soak dried peas for about 6-8 hours or over night. Pressure cook till it is done. Drain the water, if any and keep it aside. If the skin has come out of the peas discard them. Heat oil in a pan and add mustard seeds. When they crack, add red chillies, curry leaves, grated ginger along with asafoetida and fry for about 1- 2 minutes. Then add cooked peas and saute for couple of minutes. Then add grated coconut and fry for another minute and turn off the heat. You can make these sudal with fresh green peas too. You don't have to soak it or pressure cook it. You can steam cook it and follow the same process from step 3. If you making it as neivedhyam for navarathri or any other festival then avoid onions. If you are making it as snack, you can add finely chopped onion while frying (in step 3). Instead of red chillies, you can add green chillies too. You can add chopped cilantro for garnishing too.